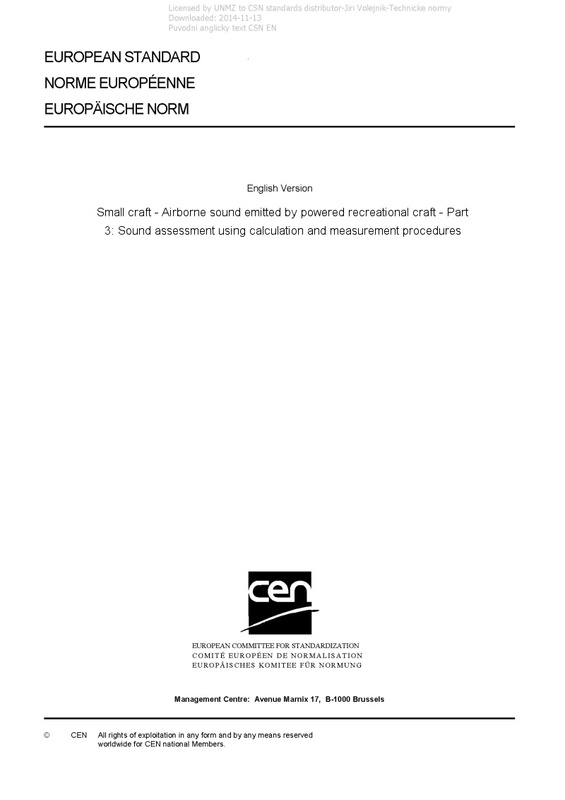 EN ISO 14509-3 Small craft - Airborne sound emitted by powered recreational craft - Part 3: Sound assessment using calculation and measurement procedures - ISO 14509-3:2009 specifies the procedures for assessing sound emission of powered monohull recreational craft of length up to 24 m with a Froude number greater than 1,1. It is not applicable for personal watercraft (PWC). ISO 14509-3:2009 specifies the determination of the A-weighted sound pressure level by combining a calculation method and a measurement method.